← It was a HOPtastic Party at Breathless Punta Cana! A Celebration is in Order! Breathless Punta Cana Wins a Booking.com Award of Excellence! We can’t contain our excitement! In honor of #TravelTuesday, we’re so thrilled to share that Breathless Punta Cana has been awarded a 2014 Award of Excellence from Booking.com! The Booking.com Award of Excellence honors resorts with above-average ratings based on the overall guest review score and a rating of 8 or higher as measured by guest satisfaction reviews. We’re honored and humbled that our guests contributed to this enormous honor! 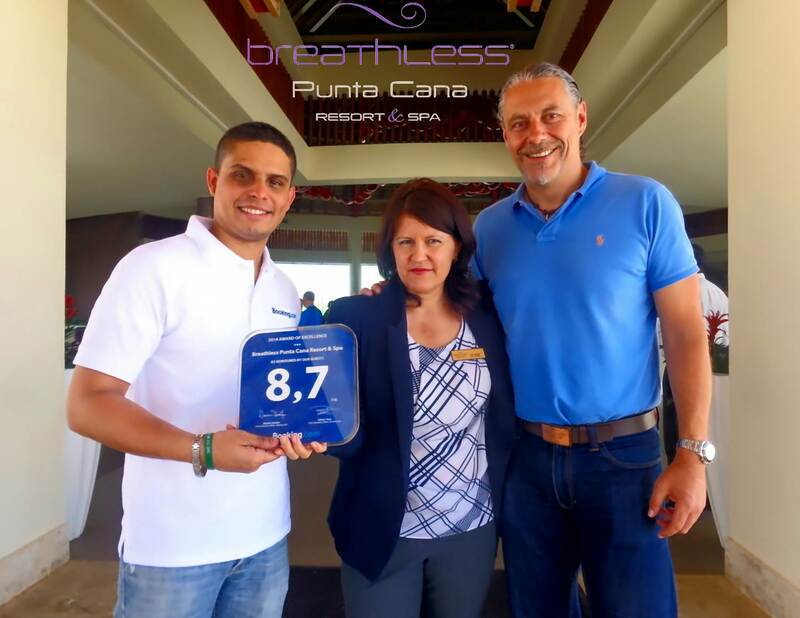 Breathless Punta Cana celebrates its Booking.com Award of Excellence! At Breathless Punta Cana, guests can escape to an exciting all-adult destination in Punta Cana, Dominican Republic, where captivating beauty and chic style combine with non-stop adventure and Unlimited-Luxury®. While at Breathless Punta Cana, mix and mingle with people from around the world or reconnect with those that mean the world to you. Featuring 750 ultra-contemporary suites with private terraces, Breathless Punta Cana is the epitome of luxury and excitement! 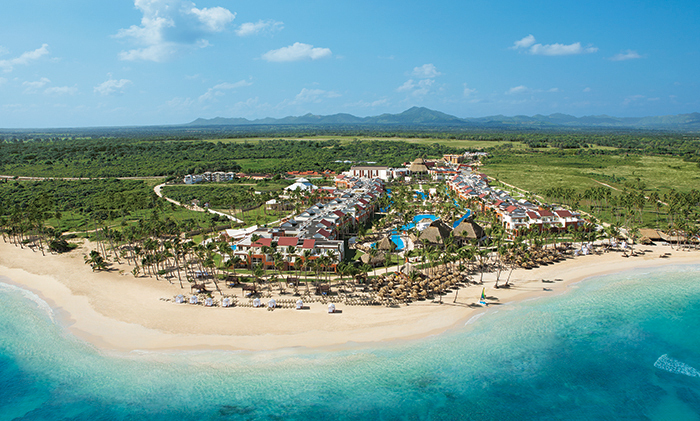 An aerial view of Breathless Punta Cana Resort & Spa. Ready to plan your escape now? You’re in luck! Now the longer you stay, the more you save! Get $50 air credit per room, per night with the Unlimited Air Credit special offer when you reserve your stay at Breathless Punta Cana Resort & Spa by April 30, 2015 for travel from February 25, 2015 to August 21, 2015. Plus, receive up to $400 in resort credits! This entry was tagged awards, Dominican Republic, special offers, unlimited air credit. Bookmark the permalink.